Located in Windham, Presumpscot Regional Land Trust’s Black Brook Preserve features hiking, horseback riding, cross country skiing, snowshoeing, and snowmobile riding. There are several miles of trails that cross through the preserve’s 105 acres. Visitors will find over 600 feet of “bog bridges” to keep feet dry and numerous cedar benches for taking a break to enjoy the silence or have a snack. Falmouth Land Trust’s 285-acre Blackstrap Hill Preserve and adjacent town owned Wilshore Farm comprise nearly 600 acres of contiguous conservation land. Bordering the West Branch of the Piscataqua River, this mostly wooded area features many miles of multi-use trails. Located in Pownal, Bradbury Mountain State Park attracts visitors who enjoy picnicking, hiking and camping on its 800 acres of forested land. Bradbury Mountain is also the only state park in southern Maine to offer shared-use trails for horseback riders, mountain bikers and snowmobilers. This corridor of conservation lands connects Bradbury State Park in Pownal with the Pineland Public Reserve in New Gloucester. In addition to growing flowers and produce, the farm hosts school groups and offers other educational activities for the community. Located in the town of Brunswick, this 100-acre trail corridor connects Bowdoin College, the Town Commons, and Middle Bay. Hikers, birdwatchers, snowshoers, and cross-country skiers can explore the corridor’s network of gentle paths as they wind through pitch pine barrens. This area is also a popular training place for student athletes. Located in Brunswick, the 320-acre Crystal Spring Farm is an organic farm that includes a community supported agricultural program, educational activities for the community, a weekly farmer’s market with more than 40 vendors, a community garden, and family-friendly hiking trails. Located in the heart of the town, the 160-acre Falmouth Community Park includes an active farm, open fields, forests, multi-purpose fields, running fields, and two ball fields. The park also features nearly 4 miles of general use trails designed for cross-country skiing, hiking, snowshoeing and jogging. Located in Freeport, this 147-acre municipal park attracts visitors for a number of outdoor recreational activities, including: hunting, fishing, nature study, hiking, ice skating, picnicking, canoeing, kayaking, cross-country skiing, and snowmobiling. Fuller Farm, a 220-acre Scarborough Land Trust preserve, features a 2.6-mile trail system that meanders through the fields and woods of an old homestead, provides excellent bird watching opportunities, and offers access to a scenic waterfall on the Nonesuch River. Located in Casco, this 27-acre preserve features 360 degree views of the White Mountains and Sebago Lake. 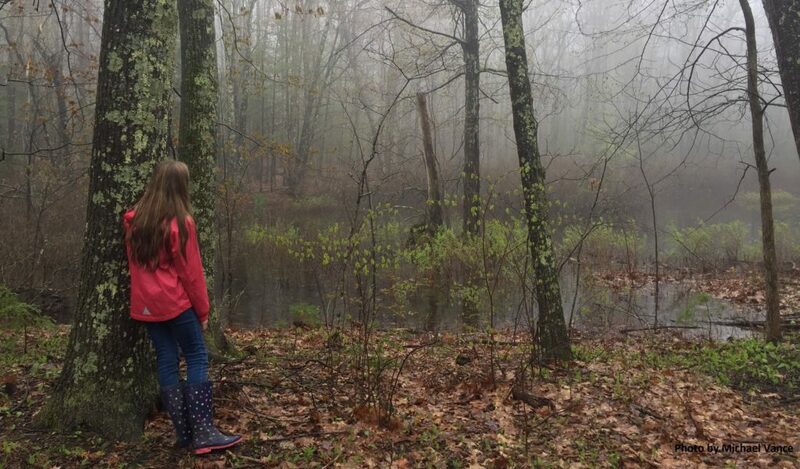 Located in Falmouth, Hadlock Community Forest is comprised of nearly 300 acres of conservation land available for hunting, hiking, snowmobiling, mountain biking, snowshoeing, cross-country skiing, fishing, nature study, and horseback riding.